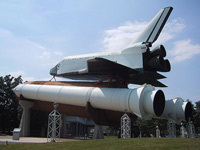 Located in Space Shuttle Park at the U.S. Space & Rocket Center, Pathfinder is the country’s only “full stack” 1:1 “replica” of NASA’s Space Transportation System. 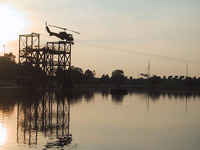 Photos from around the Aviation Challenge area. 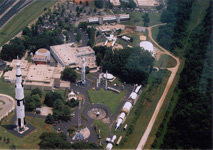 Beautiful aerial photographs of the USSRC taken by Space Camp Counselor, Stasia Burroughs. 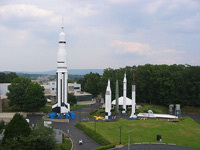 Various photos of the wondrous things found within the U.S. Space & Rocket Center’s Rocket Park! The first photos of an international Space Camp here at Hab1.com. All thanks to SCT counselor, Matthew Danner! 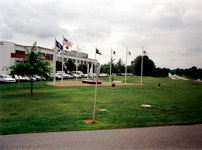 Pictures taken from the bus tours of Marshall Space Flight Center. Unfortunately, in this post-9/11 world, Marshall Space Flight Center is off limits even to Space Campers. So enjoy these photos of what was a fantastic tour!